Top grossing Indian dating app Woo forays to the US, UK and Canada with the acquisition of Dus. Looks to build a bridge for the Indian community all over the world with new features and community outreach. Leading dating app Woo forges ahead in the online dating space by acquiring Dus, a Los Angeles based dating app focused on the South Asian community. The move will further strengthen its positioning by connecting Indians all over the world. A similar dating app, connecting South Asian communities based in other countries is the dating app DilMil, which has the backing of the Saavn founder. Dus was specifically designed for South Asian singles to provide them a dating opportunity within their community. Woo, which has been the pioneer in the online dating industry of India since its inception in 2014 is now gearing up for a major global push. This acquisition is a natural step in driving its vision of connecting like-minded singles around the world. Woo announced today that they have formally signed an agreement with DUS and now will acquire its platform and brand to increase their foothold in US one of the largest markets for the online dating industry along with UK and Canada. 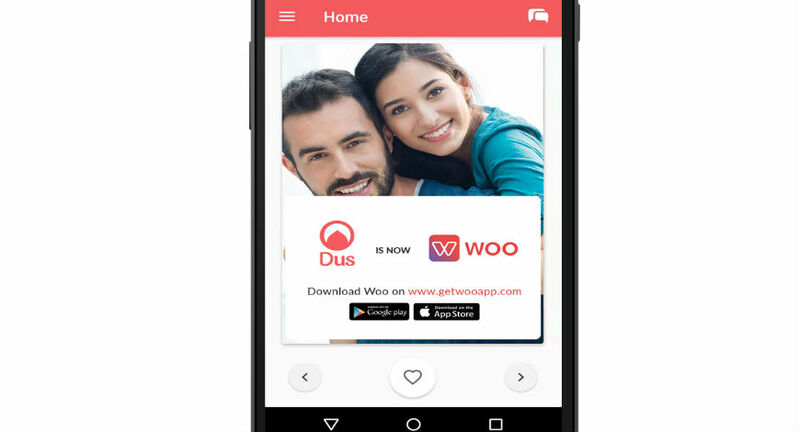 This acquisition with Dus, the Desi dating app will open an attractive market and new growth avenues for Woo, strengthening its position in the global arena. Famed Indian-Canadian comedian and a YouTube personality Jus Reign is one of the founders of Dus. He will continue to use his online voice to continue Dus’ mission by promoting Woo through his audience which is primarily western South Asians. The Dus leadership team will continue to support Woo in thinking through its country growth strategy and customizing user features designed for the international Indian community. Talking about the acquisition, Sumesh Menon, cofounder of Woo said, “I am confident that Dus acquisition will help accelerate our outreach to Indians globally. While originally designed for India alone we quickly realized that our platform had a global appeal and was already favored by Indians internationally to form a strong connect back to their homeland. Woo has quickly found acceptance from all over the world and is the top grossing Indian dating app on the Playstore. The new and redesigned version of the app has been designed to appeal to the Indian diaspora globally. This new version has enhanced profiles with commonality tracking. Users can now add tags to their profile and use these to search and filter through profiles. Woo understands the power of a true 'connection' and its various facets. With its safe and easy navigation, it has now become easier to connect with more like-minded people. Owing to its focus on genuine profiles, real people, and real conversations, Woo believes that great conversations are waiting to happen, you just need to find, chat and meet like-minded people.